Authorities say they were called on Tuesday to a home in the Hollywood Hills. Los Angeles police said on Tuesday that they responded to a call at 11:39 a.m. to a home on the 8000 block of Laurel View Drive in the Hollywood Hills for a female victim of a possible overdose. Demi Lovato’s home is on that block. Los Angeles police department spokesman Raymond Brown declined to name the individual who was transported to a local hospital. However, TMZ, citing an unnamed law enforcement source, reported that the victim was Demi Lovato, who suffered an apparent overdose. Lovato released a song this summer called “Sober,” in which she details experience with withdrawal and possibly relapsing. 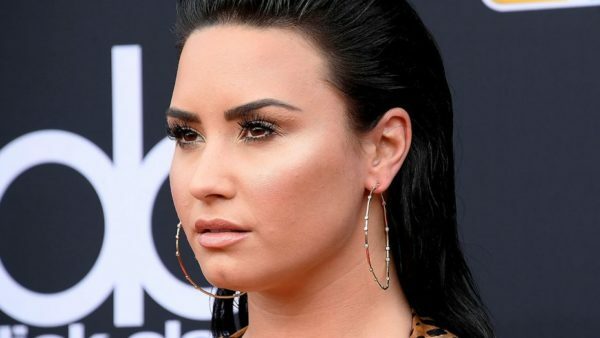 In a YouTube documentary about the singer that debuted last fall called Simply Complicated, she opened up about her past drug use, which began when she was 17. A wonderfully talented young woman who was exposed to fame at a very young and became addicted to drugs by facilitators. She became drug free with much help, regained her popularity, then lapsed again. Hope she gets the required help and gets out of the U.S. Too many suppliers/providers, and facilitators. “Get out of the U.S.” ? Plenty of Drugs there yes but Drugs are everywhere, Drugs are more readily available in Vancouver than almost anywhere. I lost a Sister to an Overdose right here in Vancouver myself. Sometimes we need to take responsibility for our own decisions. Your own B.C. is currently spending $ Millions attempting to convince Drug Addiction is in fact normal and acceptable, what does that teach young people? ‘Get out of the U.S.” ? Sure send her to B.C. where we will lose about 1600 people to various types of O.D. This calendar year. Another victim (hopefully not a fatality) of the Disney star factory. Just seems that in recent times, many of those young actors who start with Disney end up going off the rails in many ways (i.e. Lindsay Lohan, Miley Cyrus, etc.). We know that some non-Disney child actors have also fallen on hard times as they grew up, but the fact that the spotlight so often falls these days on products of the Disney star factory who go astray has to say something.